If you're the type who has an impressive wine cellar, a wide selection of wines, or just like to know what you have on hand, here's an app that will help you out. The VinoCellar app can be used on your iPod touch, iPad, and iPhone and acts more like a productivity tool than anything else. You will be able to easily manage your entire wine collection and even make notes. The best part of all because this is a mobile app you will always have the information on hand. Here's your chance to feel like a real wine expert with a tool that makes it possible to manage your collection with ease. 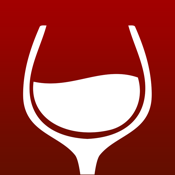 The app allows you to manage your current wines and the tasting notes. Speaking of tasting notes, the app has a database with over 300 oenological classified terms, which makes it much easier for you to understand the notes. There are all kinds of features built into this app designed to make it simple and quick to use, such as adding your wines manually or searching the online database. You can even include up to two photos of the wine label if you like. This app has recently been updated with a couple of bug fixes and the ability to either display or not display the label on a 3D bottle. The app has a very impressive 4.5 out of five stars from customers who are discovering just how helpful this app can be for them. This app is all about simple management through plenty of user-friendly features and tools. Features include being able to add your wines quickly and then add details such as the life-cycle of the wine, the country, regions, grapes, classification, and so much more. This app even makes it easy to match up the perfect bottle with whatever you may be eating. Once you have your database set up you can then add your own filters and use the search tool, you can share your list by Facebook/Twitter/email, and you can even view a market valuation of your stock. The statistic tool is an interesting feature that makes it possible for you to view such information as your outputs, inputs, purchases, number of bottles, and other interesting figures. And just to ensure your list stays secure you can back it up and sync it. The VinoCellar app can be used on your iPod touch, iPad, and iPhone to keep track and manage your own personal wine collection. The app is absolutely loaded with features and tools meant to shed light on your own preferences when it comes to wine.